Advertising and digital agency One Shoe will attend Dmexco. The Digital Marketing Exposition and Conference is the leading international exposition and conference for the digital industry. Dmexco provides a platform for decision makers and brings together the most innovative leaders and minds in the areas of digital marketing, media and advertising. A selection of speakers include Adobe, Amazon, E-bay, Facebook. IBM, Philips, Buzzfeed, Vice and Nestlé. Under the motto “Bridging Worlds”, dmexco will build key bridges to the ‘digiconomy’. 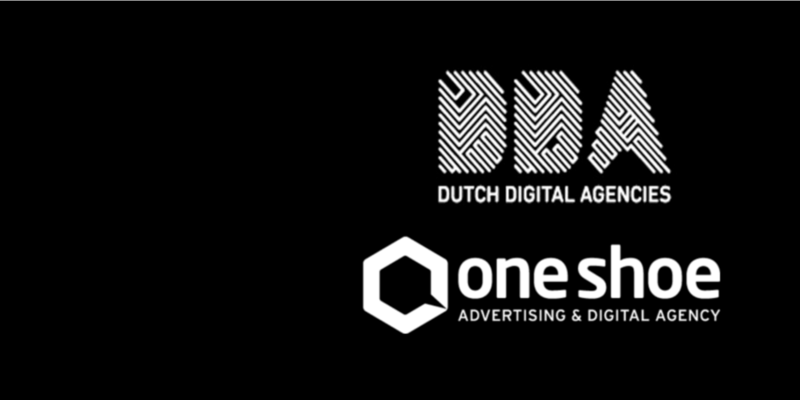 One Shoe will attend dmexco as part of Dutch Digital Agencies, holland's leading digital agencies. This means that we, as 'Creative Holland' will have a 150 m2 Holland Pavilion and a Creative Holland House. Michel van Velde and Floris Derksen, founders of One Shoe, are looking forward to welcoming you at the ‘Dmexco Creative Holland’ stand. One Shoe is a fast-growing integrated advertising and digital agency with more than 40 specialists in strategy, concept, design, advertising campaigns, website and mobile development. By taking the integrated approach, One Shoe delivers unique results by combining digital as well as traditional solutions for brands like DHL, Utrecht University and Meda Pharma.